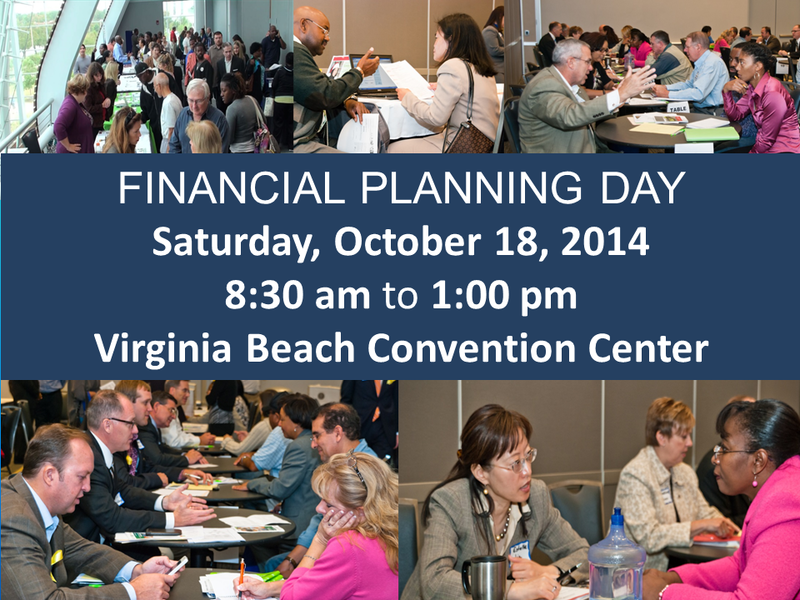 Financial Planning Day is scheduled for October 18, 2014. This is one of the most exciting events for Financial Empowerment. Each year financial professionals volunteer their time with no strings attached to answer your personal questions about financial matters. Meet with Certified Financial Planners, Credit Counselors, Retirement experts, Accountants, Career experts and more. Bank On will hold a graduation ceremony for those who complete requirements for Bank On and Mayor William D. Sessoms will recognize those who complete the Mayors Action Challenge.